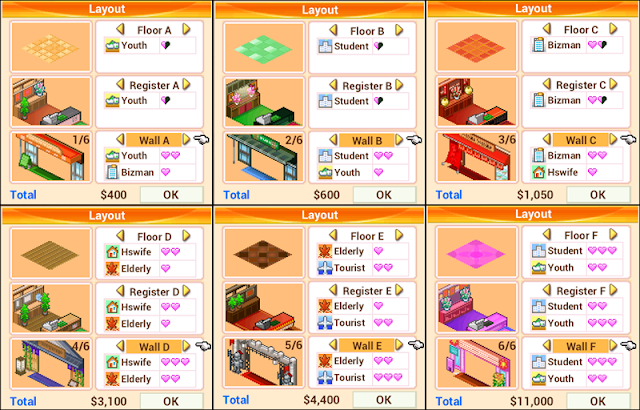 There are 6 sets ( A - F ) available for Remodel Store. 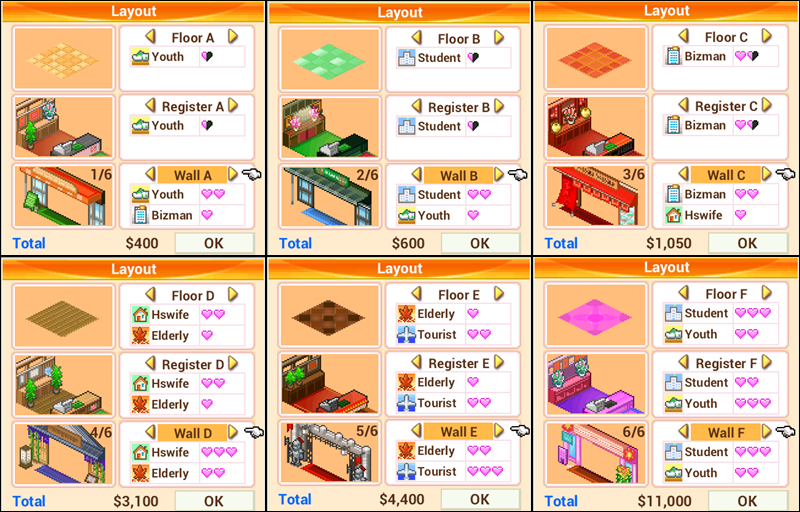 We get A and B right from the start when Remodel Store is available to you in the Management Plan. Others will unlock later. Each set has 3 parts : Floor, Register, Wall. It is possible to mix different parts from different sets together. How do we unlock the different layouts? You get Layout A, and B right from the start.